I took this picture of a beetle and flower on one of my many climbs up the Little Mountain in Vung Tau (the one with the Jesus Christ statue). I’m planning to climb it at least once a month, graduating to every weekend as part of keeping fit. 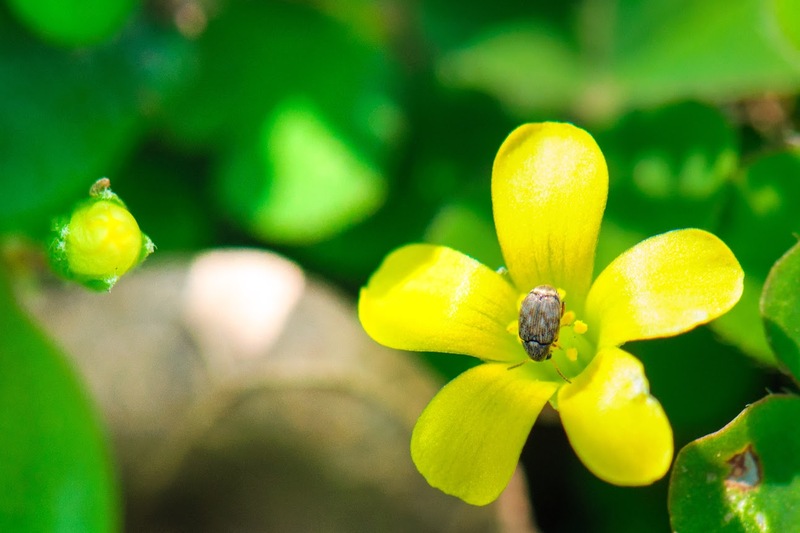 This is actually a stacked image, where I took two pictures, one with the beetle in focus and another with the flower in focus and stacked them together in Photoshop. I’m lucky that the beetle is cooperative and stayed in place throughout the shoot. At close to 1:1 magnification, the depth of field is quite small.